Calling All Weekend Croppers! Yes…that’s right…several days of amazing fun when you purchase the MEGA Make & Take Extravaganza and our themed crops. Just take a look below at all of the amazing perks our “All Weekend Cropper Pass” has to offer. Not only will you have a great time at the MEGA Make & Take Extravaganza learning great new tips and techniques but our themed crops are sure to keep you busy throughout the day and well into the evening...while making a few new friends along the way! 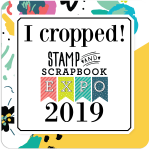 Pickup your tickets at Will Call (the afternoon of the Mega Event) and head over to the Crop Area for Expedited Check In! Receive an awesome Crop Badge Holder to display and store your All Weekend Pass...no more crop wristbands!!! By-Pass the Crop Check-in Desk Each Day! MEGA Gift from Glue Dots (retail value $20)!!! $20 Vouchers to shop the Keep It Simple booth. ***Seating is first come first serve. Please visit the tab section for more information on additional seating options and other event details. ***Admission to the show floor sold separately. General Seating at the crop is an open seating system and guests are seated on a first come first serve basis. 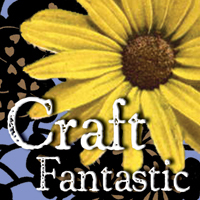 Each cropper who attends will have a chair and approximately 48" x 24" of space to create. Locations such as Pomona and Irving will have approximately 36" x 27-30" of space and our Orlando location will have approximately 36" x 27" of space. Seating is arranged in sets of four or eight and does vary per location; so plan on making a few new friends during your stay. For guests returning to the crop the next day, please see the "Leaving My Stuff" tab for useful information. If you have a party of Two, Four, Six or Eight guests and would like to reserve your seats prior to the event, please be sure to check out the "Online Reserved Seating" Tab. Reserved seating is not necessary as all seating is on a first come first serve basis. However, this option is available to guarantee that your party will be seated together, without having to exercise our first come first serve policy. There is an additional fee to reserve your seats prior to the event. How do I Reserve seating before the show? We know how important it is for you to sit by your friends. Our crop hosts do an amazing job helping guests find seats together. If you have a party of Two, Four, Six or Eight guests and would like to reserve your seats prior to the event you are welcome to do so. Reserved seating is not necessary as all seating is on a first come first serve basis. However, this option is available to guarantee that your party will be seated together without having to exercise our first come first serve policy. There is an additional fee to reserve your seats prior to the event. Reserved seating is available for a party of 2, 4, 6 or 8 guests. Each guest will need to purchase their own crop ticket online. Once your party has purchased their individual crop tickets, one person from the party will need to visit our "Reserved Seating Application" to reserve your seats. The daily fee for reserved seating is based on the size of your party. This fee is not per person, it is a flat fee for your party. Once we receive your application, we will add the reserved seating to your order. Please allow 48-72 hours to process the application as these are done manually. Once your application has been processed we will send you an email confirmation letting you know that we have added the tables to your order. When you arrive at the crop; please notify your host to assist in locating your reserved seating. Online seating applications close one week prior to the show. See cutoff dates below. Special Requests: If you have any special medical requests or needs, please be sure to add this request to the seating application. Special medical requests or needs are filled to the best of our hosts ability and not always accommodated. Moving Reserved Seating Tent Cards: Much time is taken to fill requests for those that have paid extra to "Reserve Seating" ahead of time. We ask that you PLEASE be respectful and do not move your tent card or other guests tent cards. All reserved seating tent cards will be marked with their row/aisle number for our crop hosts to assist guests in locating their reserved seating. If tent cards are moved; that party will forfeit further seating reservation privileges in the future. We ask that you please see your crop host if you have any concerns with your seating arrangements and they will be happy to assist. How do I Reserve seating during the show? Guests are not obligated to reserve seating as seating is open and on a first come first serve. However, we know that for many of you this is an important feature that you would like to take advantage of. Policy Changes: We understand that there may be times when you are not able to reserve seating online prior to pre-registration closing. Guests will still be able to reserve seating onsite; however, you will no longer be able to reserve seating during the evening hours with the crop host. Guests will need to reserve their seating by 5pm the day prior to their schedule event. Same day seating reservations will not be permitted. Please see the steps below if you wish to reserve seating for a party of two, four, six or eight guests onsite. ALL Onsite reservations will need to be made at the registration counter by 5pm one day prior to your scheduled event. Guests can reserve seating for 2, 4, 6 or 8 guests. You will need all printed tickets in hand, in order to reserve. All tickets will be verified that are not already associated with an existing reservation. Once verified, we will print your seating ticket & receipt for your party. Please present to your crop host. If you are looking for others to group up with, we do suggest that you join our Facebook page to meet up with new friends. As an added convenience we will also have a bulletin board located by the crop entrance for those that are looking for others to group up with. Can I leave my stuff overnight? Many of our guests attend multiple crops throughout the weekend. Here are two helpful tips for leaving your stuff overnight. If you have purchased Reserved Seating for the next day, you will need to inquire with your crop host before leaving. The crop hosts will have a special tent card for you to place on your table. For those guests who do not have reserved seating, but are planning to attend the crop the next day...you are more than welcome to leave your items overnight in a designated area at the crop. Unfortunately, you will not be allowed to leave your items at your table. Please inquire with your crop host. Will there be tools I can try/use? Check out the Creation Station! We’ve chosen the most popular types of tools and have some new tool sponsors you can try. Bring your own files to cut on the Silhouette Cameo 3. If the files are on your laptop, bring your laptop to hook it up! When attending the crop, you will need to bring supplies that will keep you busy throughout the day. Many guests will bring their rolling storage totes filled with paper, scissors, trimmer, adhesive, embellishments, albums, pens, ink, stamps…you name it! Remember, some crops are 15 hours, so bring whatever will keep you busy. For those attending the Mega Make & Take Extravaganza here are a few suggestions that you may need during this event: Variety of adhesives (such as liquid adhesive or tape runner), paper trimmer, scissors, corner rounder, paper piercer, stapler, hole punch, acrylic block, distressing ink pad, baby wipes, and journaling pen. What do I do when I'm hungry? Concessions will be available throughout the day and into the evening at each of our show locations. Times vary during the evening hours. Your Crop Host will notify attendees when concessions are about to close, so you can be sure to stock up on any last minute drinks or snacks. Please note that the facility does not allow outside food. Concealed snack food is okay, but please no rolling coolers. Pizza delivery is also discouraged. We love our young scrappers! Children are welcome to attend our events, however we do ask that those under 18 be accompanied by an adult and must purchase a crop or mega make & take ticket for the event. Controlling the temperature in a large hall can sometimes be difficult. We do suggest that you bring a sweater or sweatshirt to make your stay more comfortable. Will there be electrical power available? Want to operate your die cut machines, photo printers, lights and laptop computers? We can arrange for the Venue Electrician to supply power for your needs. Price varies per location $60 - $230 and includes 1 power strip to plug in your devices. You must first pre-register online for your crop tickets and then contact us by phone (888) 252-EXPO. Our staff will be able to assist with electrical pricing and the seating reservation application. Please note that Battery Packs are not allowed. Also note Wall Outlets are not available for public use. There will be a Cell Phone Charging Area for your convenience. If you have any questions about Electricity don't hesitate to contact our office or speak with the staff at the show. We try to have a variety of all types of music at our crop events. Guests who wish to bring and listen to their own music are welcome to do so, however you will need to have headphones so the croppers around you can enjoy the music provided by the EXPO. *Note not all Sponsors are Exhibiting at every show.